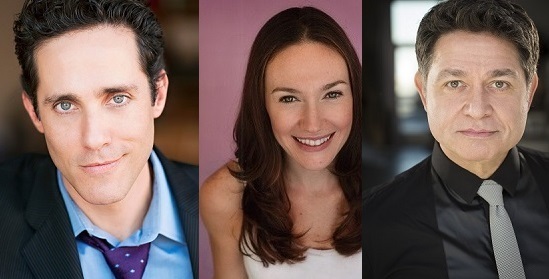 L-R Jeff Leibow, Sarah Lowe and Keith Thompson. 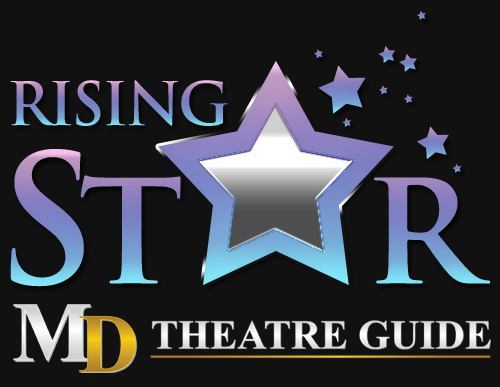 In the past few years many Broadway shows have tried their hand out in Las Vegas. Musicals such as Hairspray, Spamalot and Avenue Q that were hits in NY did not fare as well in the desert community. L to R- Jeff Leibow, Graham Fenton, Rob Marnell and Deven May. Photo by Joan Marcus. The Las Vegas production has a few folks that have been with the show since it opened. Take Jeff Leibow who plays Nick Massi for example. He had been performing a lot in California before getting cast in Jersey Boys. While waiting for the Palazzo to finish construction, his company played an engagement at the Curran Theatre in San Francisco. I wanted to know if it was a big adjustment for Jeff and his family to move to Las Vegas from California. He says “Going from coastal California to the Land of No Humidity was challenging for a number of reasons, but mostly vocally. It has taken a long time to condition my voice to sing in the desert, but even after 6+ years, it can still sometimes be a struggle. As you might imagine the Veags crowd has a different feel to it than on Broadway. Broadway audiences are there to see the show. In Vegas there are plenty of distractions so I wanted to know if there were any audience stories that would only happen in Vegas. Jeff Leibow tells the story of an incredibly loud drunk woman wearing something that would only fly in Las Vegas. As she made her way to her seat in the third row 15- 20 minutes into the show, the cast hears her say “Get the (explitive) out of my way.” The guy she said it to was a retired NYC cop. Needless to say she was removed in handcuffs, mini skirt and all. Keith also made the following observation. “Audiences tend not to be quite as sophisticated or theatre-savvy in Las Vegas as they might be in New York or other metropolitan areas. So we get people showing up in flip-flops, tank tops and swim suits (directly from the pool), and they tend to talk back to the stage as if they were watching TV at home. Then, of course, when the Adult Film awards are being held in town, we get some “adult entertainers” outrageously dressed to highlight their physical enhancements, usually right on the front few rows so the cast can actually see them during the show.” Only in Vegas people. 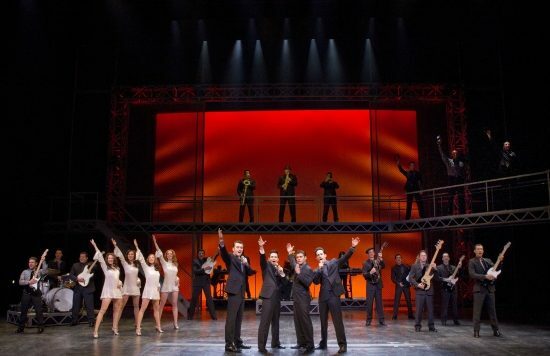 The Las Vegas Company of Jersey Boys. Photo by Joan Marcus. 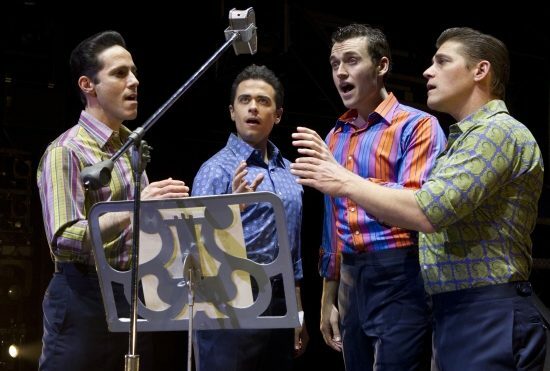 Whatever the reasons for its success on Broadway, Las Vegas and the world, Jersey Boys leaves audiences singing the songs they remember while learning something about one of pop music’s most beloved singing groups. I am looking forward to seeing this show in Las Vegas in August and if you are out there on vacation, grab your sweetie and tell her “My Eyes Adored You” while watching and listening to a Broadway success story in Las Vegas.